The old legs have yet again shown that they are still good enough to play in the (supposed to be) game of youngsters. Rahul Dravid has yet again contributed for his him in IPL. He was among the top scorers for RCB in first two seasons of IPL, didn't get to bat much in 3rd season (still managing to score at average of 25+), and now he is the top scorer for his new team, RR. Unfortunately, RR middle order didn't perform upto the mark, which in turn turned out to be fatal for the team which couldn't qualify for the play-offs. 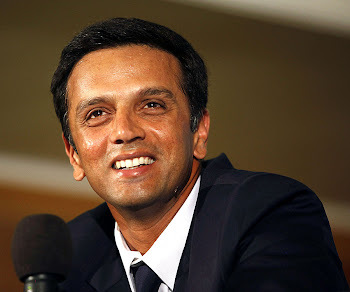 Oh and one more thing, you all might have observed the change in the batting style of Rahul Dravid. He was trying to get boundaries out of every ball he faced, which in turn produced some shots that we have never seen from the bat of Rahul Dravid. He was quite aggressive in his approach towards every innings he played. Was it the effort to release pressure off the other batsman, or was it to prove himself in this shorter version (which he actually doesn't need to). Who knows? ...........................................Well, who cares? u make me feel so cool relax and Awesome! thank you i lovee this site.